The Pocket Rod Rest is an ingenious invention -- a stylish hook that clips to the user's pocket and allows them to rest their fishing rod off the ground while they remove a fish, adjust tackle or untangle some line. This keeps the rod handy, out of the dirt and out from under the sports person's feet. 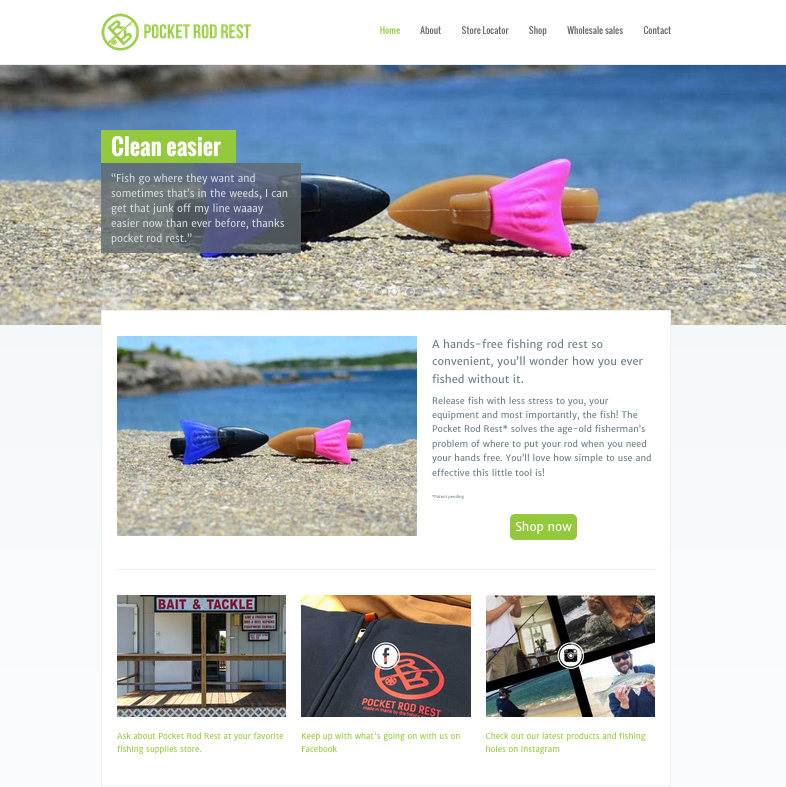 The product is sold online, as well as in retail tackle stores. Their website features an online ordering function as well as store locator.